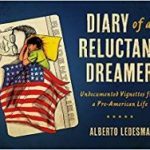 differing opinions on DACA (Deferred Action on Childhood Arrivals) reform. • This will be a safe place to ask questions and share your thoughts. 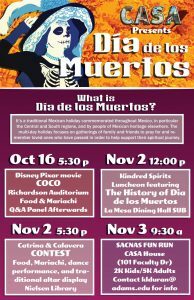 Foundation of SLV, and the ASU Spanish Club. HSI week kicks-off with the second annual Adams State Theatre Ghostlight Project. A reception will begin at 6:30 p.m. Saturday, Sept. 8, in the Theatre Building. Led by Dr. John Taylor and inspired by the tradition of leaving a “ghost light” on in a darkened theatre, campus and community members will make or renew a pledge to stand for and protect the values of inclusion, participation, and compassion for everyone regardless of race, class, religion, country of origin, immigration status, (dis)ability, gender identity, or sexual orientation. Art and music will be featured on September 11. Beginning at 3 p.m. until 4 p.m., Dr. Leslie Macklin, a Title V Equity Engagement Grant recipient, will present a hands-on workshop in the ASU Art Building, Traditions in Native Ceramics. Macklin, along with her ASU students, will lead the workshop. Starting at 5:30p.m. in Richardson Hall a reception will feature Roberto Capocchi, a classical guitarist. At 6 p.m., the Adams State music faculty will perform in Richardson Hall Auditorium, ETHOS: Exploring Equity Through Music. Dr. Matthew Valverde, Dr. Angela Winter, Dr. Beth Robison, and Dr. James Doyle; were recipients of Title V Equity Engagement Grants. Marco Polo has written about the bi-national social support and the stories of Mexican agricultural migrants in Oregon. Unfortunately, the file is too big to link to the blog page (unless someone knows how to do it. I have a copy if you would like to read it. ¿Y Cómo se Llama el Niño? 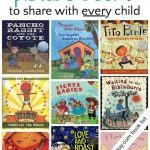 Collaboration with other LatinX groups with an app. Chevere! Magnify Progress and I would love to collaborate with students groups in a way that will enhance social change and action. Would you be interested in discussing further? An article that is especially pertinent…. Because of where we work and live, this article struck home. Keep reading, because it gets most interesting (to me at least) after the first several paragraphs. The Next Populist Revolution will be Latino. 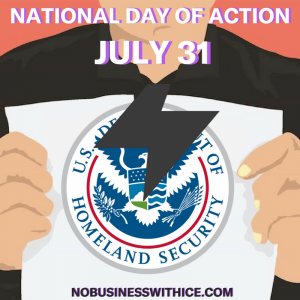 On July 31st, it is all of our duties to expose how ICE is working in our cities. We can not let ICE target our communities without check. ICE doesn’t operate alone. We will demand that our cities, counties, companies, and all institutions end their cooperation with ICE. We will not allow our cities and resources to be used as tools to keep immigrants and their children hostage. Join us for an action planning call on Thursday, July 12th at 8pm EST to find out how you can take down ICE from within your own community. Amazon provides the technology that allows ICE to separate families and terrorize the immigrant community. I cannot be a bystander as Amazon facilitates the criminalization of my immigrant community. I won’t be complicit as Amazon upholds the ICE deportation machine. It is our moral duty to stop cooperating with ICE and demand the institutions we are part of do the same. Sign the petition to join us and Amazon employees to demand that CEO Jeff Bezos stop all cooperation with ICE. ICE relies on private tech companies to develop their surveillance technology. ICE relies on airlines to deport people. ICE relies on departments of labor, schools, DMVs and hospitals to share their records with them, helping them persecute undocumented people. This action is only the beginning. We also invite you to bring your students. Student cost is $10 per student for the whole day of events. The four-year college graduation rate for Black and Latinx males is 52 and 58 percent, respectively, compared to 78 percent for White males. Colorado also has graduation rates below 60 percent for Black and Latinx males, with even lower graduation rates for Native American males. Given the demographics of Southern Colorado and CSU-Pueblo’s status as a Hispanic Serving Institution, the University has committed to offering a program to Black, Latino, and Native males in southern Colorado which helps them understand the importance of their pursuit of a college education as well as the availability of resources to help them succeed. The theme of the 2018 Black, Latinx, Native Male Summit (BLNMS) is Leading the Pack: Understanding our past, influencing our present to create change in our futures. This year’s first annual summit strives to provide a forum for Black, Latinx, and Native men to discuss the past and the influence it plays on our campuses to create change for future generations to come. The summit will provide opportunities to engage in dialogue, create bridges of collaboration, and inspire leadership among males on campus. 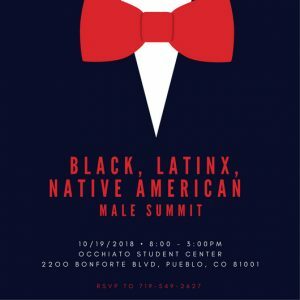 The presenters, organizers, and sponsors hope to promote coalition building, community, and mentorship for Black, Latinx, and Native men across Southern Colorado. Provide participants with knowledge, skills, and strategies that they can apply to their lives and/or the lives of their families and communities. Sessions may take the form of a discussion, a workshop, or a panel. Being Black, Brown, and Native in America through the decades: Sessions may focus on the day-to-day experiences of Black, Latinx, and Native males in America then and now. Topics might include masculinity, criminalization, and other overarching challenges of men of color living in the U.S.
Black, Brown, and Native Excellence in Higher Education: Sessions on this topic would focus on the academic and professional enhancement of young Black, Latinx, and Native men in higher education institutions. Submissions may include research and practices that lead to Black, Latinx and Native male success, retention, and mentor-ship. Coalition-Building: This program area will focus on the successful approaches and practices of intercultural interactions amongst Black, Latinx, and Native organizations and student groups. 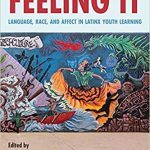 Submissions may include examples of historical and contemporary collaborations between Black, Latinx, and Native men or the development of leadership skills that enable these young men to move forward. Leading the Pack: This area will focus on any topics or issues in the Black, Latinx, and Native culture that incorporate leadership. This session type may also include topics in regards to programs, partnerships, or people who have been successful or who have set high standards, etc. Identity labels constantly change because society and identities themselves are in constant flux. 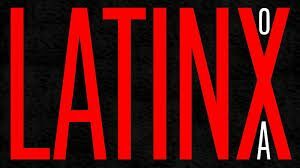 “LatinX” is an inclusive, gender-neutral term that refers to people of Spanish-speaking Latin American descent. It is meant to replace Latino/a, or Latin@, but is often used interchangeably with “Hispanic” or “Chicana/o” (though Chicana/o refers only to people of Mexican descent, not all LatinX people). Most agree that LatinX should be pronounced as if you were saying Latino but–obviously–replacing the last letter with X; i.e., Lahteen X. That said, you’ll probably hear it more often pronounced as Latin (the dead Roman language) X. 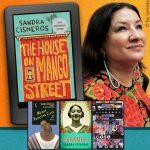 A WordPress Commenter on ¡Bienvenidos!